Life is unpredictable, yet it is possible to connect the threads together and form an opinion. ‘Window Seat’ is an anthology of short stories that are inspired by our day to day lives. It is the minute things that matter the most and if we focus on them instead of making a mountain of a molehill, we can understand life better. 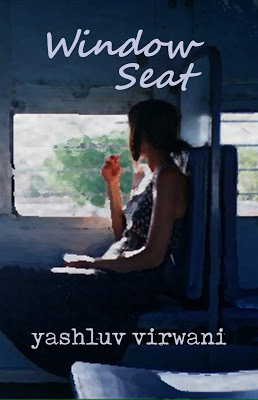 With an apt title, ‘Window Seat’ is a book that touches your heart. I cannot refrain from praising the title; it is so relatable. A window seat is the first choice of many as people see life pass by in different forms. The entire concept of watching and penning down the various stories belonging to random people is commendable. The author has done a fabulous job of narrating stories and keeping them different from each other. None of the stories is related. But still, a common thought that hovered in my mind was the exemplary skills of observation and narration. The real pleasure lies in reading each story that is not only fast-paced but also gripping. The cover is pleasant, the blurb is apt and the content is perfect for a light mood. With the fitting use of twists and turns in the tales, the book has the potential to leave an indelible impact on your mind. Though philosophical, yet the life lessons are worth giving a shot. Barring few grammatical and punctuation errors, the book is a delightful read.